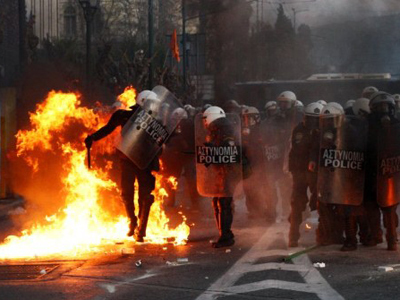 Europe has been wracked by strikes and mass anti-austerity demonstrations ahead of Thursday’s EU summit in Brussels. 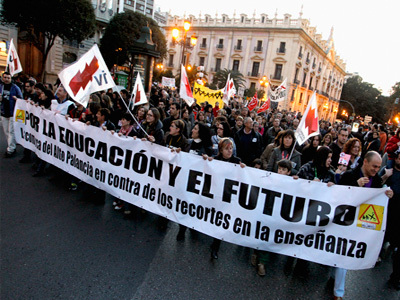 Thousands took to the streets in Spain, Greece, Belgium and France to protest against harsh budget cuts. Greek trade unions held a three-hour work stoppage and rallies in central Athens on Wednesday. 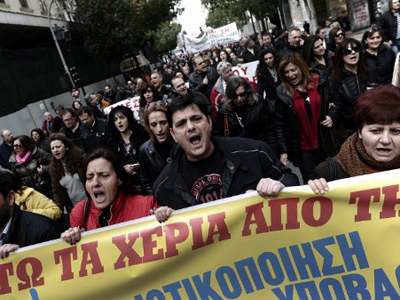 Public and private sector unions marched to the Greek Parliament and EU buildings. 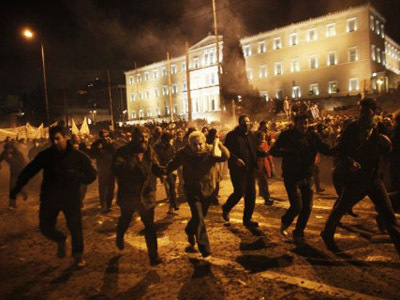 Scuffles with police reportedly broke out when one of the protesters tried to enter EU headquarters in the Greek capital. 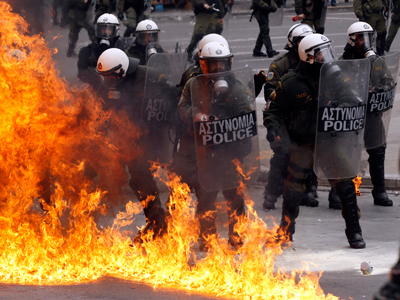 According to RT’s Tom Barton, reporting from Athens, a police union was among those who took part in demonstrations. 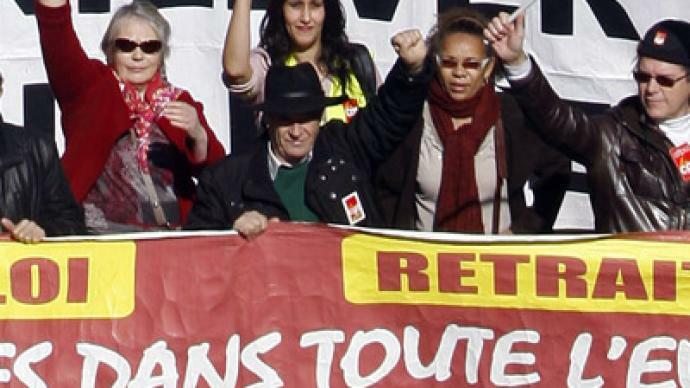 France's five main unions held a mass protest on Wednesday, gathering about 5,000 in the capital, Paris. It was just one of some 160 protest marches taking place across France this week alone. Spanish students have held anti-austerity rallies in 40 cities, with the largest demonstrations taking place in Madrid and Barcelona. Riot police reportedly clashed with protesters in Barcelona, while in Madrid the police presence was notably heavier than during previous rallies, according to RT’s correspondent on the ground, Sarah Firth. Hundreds of trade union members also gathered in front of the European Union headquarters in Brussels demanding policy changes from the summit leaders. Wednesday’s Europe-wide protests came just one day ahead of an EU summit in Brussels at which the 27-nation body will discuss possible ways out of the region’s debt crisis. ­Attorney and constitutional law professor George Katroungalos does not believe the upcoming summit will bring any positive results.